Can you believe I have another fantastic give-away for you today?! Tis the season to make & to give and Lark Books has generously offered a copy of Craft Hope to one of you. If you're looking for a jump start on your holiday making, this book is chock full of wonderful and very do-able projects. Each one is linked to a charitable organization so that you can keep making and giving all year long. This is a crafting book like no other: filled with soul, steeped in compassion, and loaded with inspiration. Author, Jade Sims, did an amazing job of compiling some really thoughtful projects from a cast of wonderful designers. I still have to pinch myself to believe that I was included. Yes, I'm especially partial to Craft Hope... seeing that a couple of my designs are tucked within the pages. I'd love to know one of you had this in your hands so please leave a comment between now and Sunday night at 9 pm EST. I'll announce the random winner on Monday morning so that it can be shipped out super fast! Good luck, friends! This is a really amazing season! I love exchanging gifts and participating in something that actually helps other people! I think that book is a good exemple of that. Thanks! The projects in this book look so inspiring! You can feel the christmas spirit everywhere. I would really love to win this book. One of my resolutions for 2011 is to do some more crafting for charity beyond the hats I knitted for Age UK. Thanks for the chance. I will love to have this book. Thank you for the chance..Hve a great weekend. i'd love to get a copy and get my craft hope on! and bring some friends in on the process! Oo, Oo!! I SOo want this book!! What a cool give away. I saw on twitter that you mentioned this. Oh this looks like a fantastic book! what a wonderful book, i would be honored to win! happy weekend maya! Thanks for the wonderful give away! The book looks great and sounds super interesting! Thanks again. Wow! What a great giveaway! Thanks for the chance to win! I would really LOVE to win this! I have participated in many of the Craft Hope projects. I recently thumbed through this book at the bookstore, and I noticed my quilt from the Margaret's Hope Chest project is pictured in the book! :) I would love to get involved in more crafty charities, and this book is full of them! 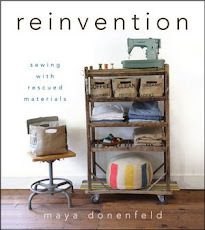 This book is on my wishlist--so full of great ideas and good intentions! I want this book :) It's on my Christmas list and it may end up being a to:me from: me present if I don't win. I've been sneaking peeks at this book when I go to the bookstore. Thanks for the opportunity to win it. Craft Hope what a wonderful concept and a lovely giveaway. I would love to have this book to inspire me. Thanks for the chance! It would be wonderful to win this! Thanks for the chance! OOOHHHH I like this give away!! I really would like to win it...I never win anything!! I will keep my fingers crossed, I would love to win a copy of this book! What a fun giveaway. I'm not sure if I can handle any more ideas for this Christmas Making, but it would be fun to help others. Oh lovely! This would be perfect for a crafty friend of mine who's on bedrest! 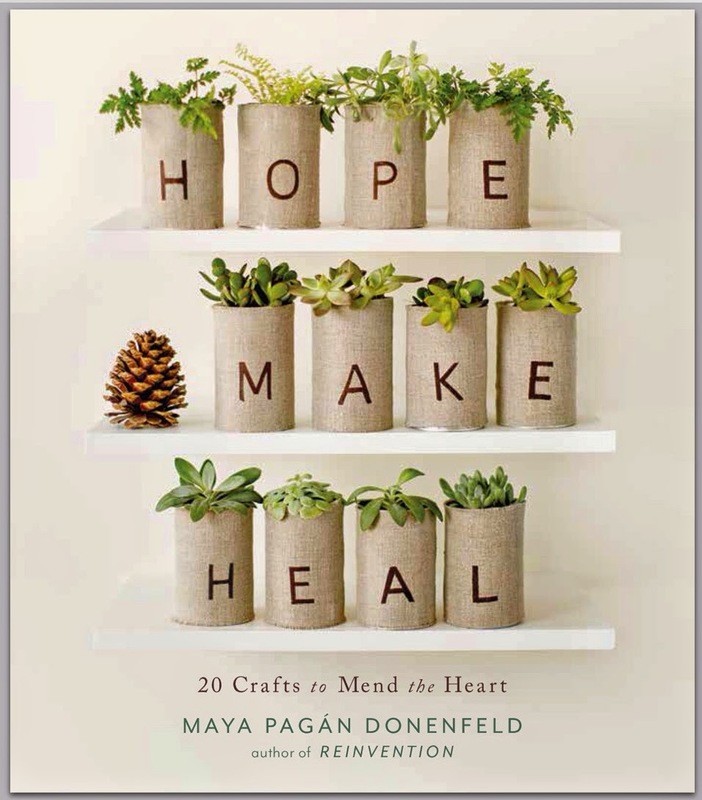 I adore Craft Hope and keep 'hoping' for this book! It's definitely on the wish list! I love craft books, they are a great source of inspiration. Fingers crossed. I just discovered this book and wished I had purchased it when I did. Maybe I will win it instead! I love the premise of this book and would love owning a copy. I love making gifts for people- thanks for the fantastic giveaway! What a great giveaway! This book looks wonderful. There are some amazing projects in this book. I'd love to win it! Wow, what a great way to combine cause and craft. Wow, Lark Books has quite a selection of interesting art and craft books. "Craft Hope" sounds really cool! i'd love to win this! i need more hand-made ideas! This book has been on my wish list-wonderful giveaway. beautiful. ideas ideas for holiday make! Wow!!! such a wonderful giveaway thank you and have a nice and warm December 2010. God Bless you and your family. What a wonderful giveaway! Thank you. Fantastic giveaway...very charitable of you! This book has been on my wish list for a long time!! I would love to add it to my library. thank you - this is definitely a book I'd like to read and be inspired by... just made my first handmade donation this week, and it felt good! I love that it's associated with charities. Looks like an awesome resource! This is a great book...I have one and have been busy making ruffle skirts for Children of the Forest...but I thought I might make them some shorts, pillow case dresses and back packs too...I wrote to Jade a year or so ago asking if Craft Hope could do a project for this small charity and was so excited when they were included in the book! I've been oggling this book for a little while now. What a great give-away! How good of you to treat us to another give-away. I'd love to hold the book in my hands and create! So many viing for this book. Well why not? Would love to give it a try, thanks. perfect for the mood I am in lately…this would really give my creations a global importance! thanks! love this way of creating community through crafting! thank you for sharing! This book looks lovely!!! I have had my eye on it since you first blogged about it!!! Craft Hope is such a beautiful book! I'd love to win it. I'd love to win this...saw it in the store the other day (didn't quite have the budget) and it's wonderful! Oh my-- I would love to own a copy of this book. Thank you for the chance to win. aahhhhh, another opportunity to win this marvelous book. Will I ever get my hands on it??!! What a wonderful book! I am really excited to see it in person! What a nice giveaway. Best wishes! Love your idea for this book. Gotta love a way to sew and help out others! Thanks for the giveaway!! I would love to win this book...I am involved with a fund raiser/ craft show for Camp Courage- a camp for autistic children in the Kansas City area. Wouldn't it be great to make things for this craft from the book!? Yes please! I love that book. I would love to have a copy of my very own. Oh, what a lovely book!!! I'd love to win it! It simply warms the heart. I would love to win this beautiful give-away. Beautiful book and inspiring on so many levels! Such a nice giveaway!! I love the concept...fantastic! Here's hoping!! What a wonderful giveaway! I've been searching high and low for some crafting inspiration. I am quite new to this and would love an opportunity like this to be filled with inspiration. What an incredible book. And congrats to you on having your designs in there : D Love it. I would love a copy of this book, its one I keep thinking I need for my collection. My girl scouts would have a great time helping out organizations with the ideas. Craft Hope? I love the title. The baby kimono is a beautiful project. Thanks for sharing this great book with us all. That looks like a fantastic book..! wonderful to come across your gorgeous blog and to discover such an amazing giveaway, bonus. I came across this book in a local bookstore and would love to have my own copy! I saw it at the bookstore last week and gave it a "flip through"...definately a lovely book...it's on my wish list, so I'd love to win a copy! What a perfect way to keep the spirit of the season alive all year long. Now that I have finished grad school I have a lot more time to craft, and giving away my creations makes the process that much more meaningful. Another wonderful book! I'm still carefully pouring through Wee Felt Folks book you featured awhile back. Thank you! Whoo!! I love to have the book!! This will be fun!!!! such generosity! please do toss my name in the mix. hope... this is really what the holidays are all about isn't it. thank you! Looks like a wonderful book!! Love this idea, and would have so much joy with it. Thanks. This book sounds amazing.. its nice to see a gift that keeps on giving. I'd love to win this book :-) My mom and I made lots and lots of pillowcases for their last project. So glad to have found them on the web - so great! What a great give away. I just stumbled onto your blog and am very glad I did. I've been lusting after this book for quite some time! If my husband and I hadn't lost our jobs in October, I totally would have bought it by now! And congrats with your blog which is so inspiring. Oh my! Would love to win! will cross my fingers... thank so much for the chance. This book has been on my wishlist for a few months! How great to find out that you contributed to some of the projects! Thanks so much for the giveaway.